Yes, we’re really sorry to tell you but Christmas is most definitely around the corner. In the Northern hemisphere, the leaves are changing and falling, the nights are getting longer, misty mornings are with us and there’s the scent of wet earth in the air. 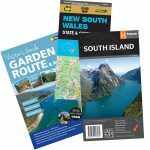 We’ve been working hard to bring our different gift products to our customers, providing novel,interesting and often unique bespoke and personalised items for even the most difficult of relative or friend including a range of scratch-off maps covering everything from skiing to whiskey . 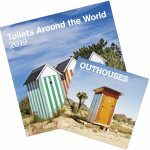 This year, we’ve also sourced some highly entertaining calendars of…toilets. Toilets and Outhouses from around the world, some with fabulous views, some in precarious positions and no matter how rustic, all providing that essential service. South of the equator, Spring is arriving with a bang so if you cannot bear a northern hemisphere winter, now is most definitely the time to start looking for some sun. South Africa provides a wealth of opportunities to enjoy beaches, mountains and wildlife and the Garden Route and Vineyards are again proving very popular. In Australia, New South Wales seems to top the list and in New Zealand South Island is proving the most popular. The skiing season is also due to start soon and we are currently working to increase our range of skiing maps to include the Alpine Skiing Club range. 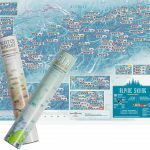 In the meantime, we have updated the entire range of Austrian Alpenverein and Swiss Snowshoe maps in preparation for the 2018-2019 winter sports season.